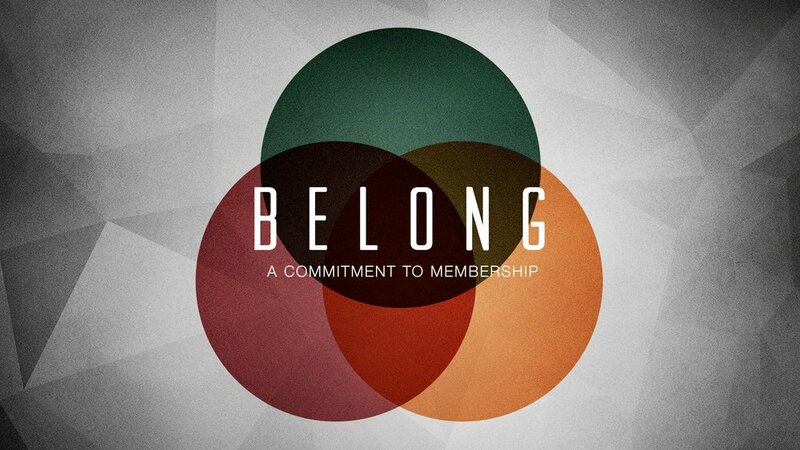 Join us on Sunday, 3rd March from 5pm - 7pm as we explore what it means to enter into covenant membership with Village Church Belfast. We'll spend time exploring what we, as a church, believe; how Village is structured and governed; and why we believe church membership is important to consider in 2019. If you'd like to attend, please register via this link so that we can keep tabs on dietary and child provision requirements. Posted on February 3, 2019 by Village Church Belfast. One of our core values is to develop a culture of prayer & dependency. The culture around us constantly tells us that we must be self-sufficient, self-dependant men. We want to speak the truth of scripture into this and create a culture of depending on the Holy Spirit and understanding our identity as being part of a family rather than isolated individuals. Join us on Saturday, 8th December as the men of Village (East & South) come together for breakfast and prayer. Village East, 25 Upper Newtownards Road, BT4 3HT. Posted on November 22, 2018 by Lucas Parks. We are not without hope. "WE DO NOT LOSE HEART." We can often forget to hope and that is what this day is about. To remember the hope we have in Jesus. This is the Light of the Gospel. We encourage you to read 2 Corinthians 4 in preparation. Joining Village South and Village East women together; this event is exclusive to the women of Village. 102 Haypark Avene, Belfast, BT4 3FF. Posted on October 3, 2018 by Lucas Parks. In a culture where manhood is often wrapped in shame, what does biblical manhood look like? What does mean to embrace the identities the Lord has given us an men? We're excited to have Reuben Hunter as our guest speaker this year. Originally from Belfast, Reuben is the pastor of Trinity West Church in Shepherd’s Bush, West London. He is part of the Acts 29 Network and planted the church in 2013. Reuben is married to Louisa and they have 4 children. The price for the weekend is £50, which includes your meals. We have 40 spot available, so act quickly! Posted on September 14, 2018 by Lucas Parks. Join us on Sunday, 24th June from 5pm - 7pm as we explore what it means to enter into covenant membership with Village Church Belfast. We'll spend time exploring what we, as a church, believe; how Village is structured and governed; and why we believe church membership is important to consider in 2018. Posted on June 12, 2018 by Village Church Belfast. If you are new to Village, this is for you! Come hear the story of our church, get to know more about life in our community, and meet some of our leaders. Childcare will be provided and dinner will be served. Posted on May 17, 2018 by Lucas Parks. Jesus is building his church and one of the many ways he is doing so is by providing for us physical places to gather in. The church is not a building. The church is the people of God, but we want to be good stewards of what the Lord has provided. We want to make sure our spaces are safe, welcoming, and add to our neighbourhoods. Come along on Saturday, 24th March for a day to do just this. Whether it's painting or pulling weeds, there will be plenty to do both inside and out! Lunch will be served and coffee will flow like a river. Posted on February 27, 2018 by Lucas Parks. Posted on January 16, 2018 by Lucas Parks. Sandra McCracken is a prolific singer-songwriter and modern-day hymn writer whose songs like “We Will Feast In The House Of Zion,” "God’s Highway" and “Thy Mercy My God” have settled into regular rotation in churches internationally. Her music has been featured by All Sons And Daughters, ABC’s Grey’s Anatomy, Indelible Grace, Caedmon’s Call and others. She has also been a guest contributor for The Gospel Coalition, She Reads Truth, Relevant Magazine and other publications. Her latest albums are Psalms and God’s Highway with her live CD/DVD, Steadfast Live, released in August. Melanie Penn is a New York City-based singer-songwriter, session vocalist, and worship leader. For many years she was also a mainstay in the NYC theatre scene and an award-winning musical theatre actress, primarily touring the United States with the Broadway musical Grease! She has released two songwriter albums to critical acclaim (Wake Up Love, 2010 and Hope Tonight, 2015) and has also sung as a guest artist for Gospel Coalition and many others. Aside from being a songleader at Redeemer Presbyterian Church, Melanie also has worked with Redeemer City to City and Tim Keller to help start over 500 new churches in global cities. Melanie is most excited about her new Christmas album of original songs, Immanuel, which is a folk-pop journey through the Christmas story from a first-person perspective. Posted on October 9, 2017 by Village Church Belfast. Join us on Sunday, 5th November from 5pm - 7pm as we explore what it means to enter into covenant membership with Village Church Belfast. We'll spend time exploring what we, as a church, believe; how Village is structured and governed; and why we believe church membership is important to consider in 2017. Posted on October 8, 2017 by Village Church Belfast. Posted on July 16, 2016 by Lucas Parks. On Friday 17th June, in conjunction with Kings Church Bangor, we are hosting a day with New York Times best selling author and theologian, Preston Sprinkle. Preston will be helping us think through our responses to sexuality, judgement and mission in today's culture. The session will last from 10 am to 2.46pm and the cost is £5. Posted on June 6, 2016 by Lucas Parks. Join us Christmas Eve 6pm for Candlelit Carols. This will be in our new venue, but dress warmly as our heating system won't be installed until next month! We will keep warm with plenty of coffee and hot chocolate! We hope to begin Sunday Gatherings in the new venue in February. Posted on December 14, 2015 by Lucas Parks. Posted on October 20, 2015 by Lucas Parks. Our regular time and location will resume next week. Posted on April 5, 2015 by Lucas Parks. Village participates in Lent through giving up and taking up: giving up what can distract us to create space for us to hear and respond to God; taking up practices that ground us, realign us, and increase our attention to God’s voice. Our prayer is that together as a community, during the season of Lent, we will confess our brokenness, respond in repentance, and — as the days grow brighter — experience the abundance and reality of restoration through God’s lavish grace. This calendar provides weekly rhythms and daily practices for each day during Lent. Invite others to join you in these practices and reflect on your experiences together. Posted on February 20, 2015 by Lucas Parks. Join us this Sunday as we tell the story of Village and share the next chapter God is leading us into! Posted on September 28, 2014 by Lucas Parks. We would love you to join us for our launch evening on the 2nd Febuary at 5.00pm in Cooke Presbyterian’s Centenary Hall. Posted on January 22, 2014 by Lucas Parks.